Hello from the Philippines. Drew here from WordPress Manila. We continue to explore and test different meetup formats and themes to encourage more participation and address specific goals. This time, in line with our goal for more ‘speaker diversity and inclusion’, we held our first “Speaker’s Bootcamp“. We partnered with a local public speaking group and conducted ‘hands-on’ exercises for novice and aspiring speakers. We also invited experienced tech speakers to provide valuable insight and practical advice on how to be a successful tech speaker. We’ve already received great feedback from participants, and requests for another Bootcamp. Plans are underway to add more opportunities for members to participate and speak in upcoming meetups. 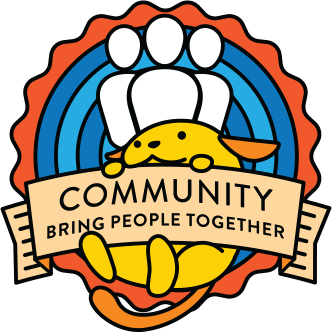 WordCamp Pittsburgh – goal is 200 attendees. Discussion between two venues and best path forward. cancelled WordCamp RI application for 2018 — their usual venue has refocused their efforts and can’t accommodate them this year and no other viable venues have availability. Recently I’ve been concentrating on vetting meetup applications and hosting meetup orientations, with an emphasis on interested new organizers of inactive groups! Started mentoring WordCamp Bucharest. Had a first hangout with Rodica and Claudiu, got to know each other a little. Their team is about 8-10 people, most of them WordCamp organisers from previous years. Their proposed date is 27th-28th October 2018, venue is same as last year, expecting 250 people. Talked about their website, about branding their WordCamp and about ways to paublicise it. They are in the process of setting the items in their preliminary budget and submitting it for review. Will meet again in about 15 days. Everything is going well, the WordCamp is small, the ticket sales are on track with what we experience in Italy (aka, everyone buys at the last possible moment). They are about to publish the schedule. Despite many efforts to have a diverse lineup, we had a very hard time finding female speakers. They published the call for speakers and the whole organisation is going well. The WordCamp is six months away and they are on track with all the tasks. Signed the contract, next step is a call for organisers.